Town boss Mick McCarthy has revealed he made a loan enquiry regarding winger Ryan Fraser but as he expected AFC Bournemouth manager Eddie Howe told him he won't be available. 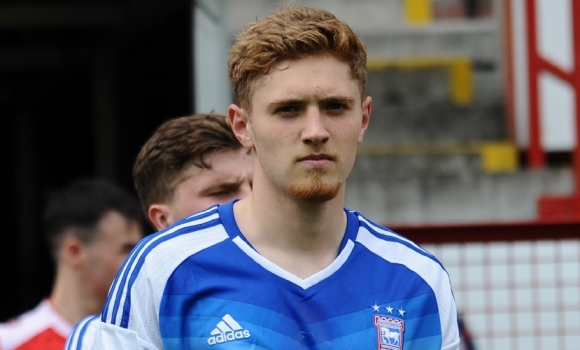 Former Scotland U21 international Fraser, 22, was hugely impressive on loan at Portman Road last season but saw his campaign twice halted due to injury. McCarthy says there’s no chance of the one-time Aberdeen man returning to Portman Road: “No, I did ask, I spoke to Eddie. I didn’t think so, but I’ve left my marker down just in case. The Blues manager says he expects Fraser to get his chance in the Premier League during the season ahead: “I would think so. I spoke to Eddie, and I’m sure he knows anyway, but he asked me what I thought and I said I think he could play for any team in the Premier League. “If you put him in he’d handle it, he’d play on the inside, he goes past people, he can see a pass and he’s got a goal in him. And he does all the dirty stuff as well, which I think was the big reason that he came to us because he knew he’d have to do it. And he did. He says Fraser was a big miss when he was sidelined, a knee injury putting him out of action between September and December and a hamstring problem ending his season in February. “We lost Ryan because he was injured and we lost Ainsley Maitland-Niles, he missed games, he’d just run out of gas, I think,” McCarthy added. While Fraser may not be available, McCarthy, who has said he is targeting Premier League players on loan, is hopeful he can bring in someone who can make a similar impact during 2016/17. Also missing for much of last season was Teddy Bishop, who was one of Town’s most impressive performers in the 2-1 win at Shelbourne on Saturday, drifting inside from a right midfield role McCarthy has previously said he is considering for the 19-year-old given the dearth of wingers currently at the club. McCarthy says he continues to look for wide additions but Bishop playing that position, from where he created most of Town's first-half chances on Saturday, is an option. “I want to add to the squad,” he confirmed. “But Bish was excellent in the first half playing from the right and wandering about. “If we haven’t got out and out wingers we’ll do something else and I’m cool with Bish, I want Bish in the team anyway. “I think had the pitch been cut shorter [at Tolka Park] he’d have scored or he’d have set a couple up. It stuck between his feet for about four seconds, he was running beyond it. “He’s fabulous, he’s a fabulous footballer, I love him. He’s very, very gifted, he glides past people for fun, He can see a pass. “It’s lovely to have him back and he might fill that slot on the right-hand side for us. Not as a winger but as a right-sided midfield player. “There’s no way I’m going to stick him right out there because it would be a waste of him.
" i think Ryans a left winger" . How long did we have him? I find that a strange comment! I mean considering the number of either UNcreative players or players out of their best position (i.e. the ever soooo proverbial "square pegs in round holes" fetish of Mick's) he has put out on the wings during his boring tenure here! Shame the conversation with Eddie didn't continue with "oh, ok then, so if he's not going to be available on loan, we'll buy him off you please. ", followed by Eddie's response of "ok, that will be £100 and 3 packets of roast beef monster munch please". @Dissboy: To be fair to Mick on this one, I think his point is that Ryan Fraser is right footed & generally you would expect a right footed winger to be on right side of the pitch going wide, but he sees Fraser's strength is cutting in when played on the left. He could play on either side, it's just where he sees him most effective; as opposed to having had him here last year & still not being sure where he should be played. If you haven't got wingers go and get some , same as a right back . Bishop should be playing in the centre and build the team around him , not put him on the right and let him try to adapt because you have failed to get anyone else in . If we start the season without Skuse and Douglas playing in the centre I will be very surprised . "I want to add to the squad" he confirmed. Please hurry up and bloody get on with it then please!! Spot-on Surco, the more Mick talks the more I worry about this season. It's comments like this that piss people off. At the end of every season it's "We'll look to invest, there's money available blah blah". And at the start of pre season MM tells everybody that he pretty much has no plan for going forward. It's incredibly patronising to every fan that spends their money for him to tell us all that "what will be will be". If Skuse and Douglas start in the centre more often than not then we won't be challenging for the play-offs. Bishop should play in the middle. A teams strength is in the spine of the team. Hate the fact it seems MM highlight of Frasers spell here was him winning a defensive header against a 6ft attacker. Just sums him up. Really struggling to be optimistic about this season. Need a good start otherwise I fear it could be a mid table/nothing to play for season or possibly even worse. It will be worse goldieblue mark my words, unless of course we get at least 2 very decent players in....which we won't. I am no football manager that is for sure but even I know that shoehorning players in doesn't work..
Marcus Evans has found out in the last 2-3 seasons that owning a football team outside the premier league is mighty Expensive and draining money from his account as fast as he can make it ????? hence the tightening of his Purse strings !!! So unless we can unearth some little Gems from the lower leagues,, who can raise to the Challenge,, we are staying put in this league which we have been in so long it will soon be named Ipswich and Friends !!! Apart from that let us start this campaign running as quick as we canned 6pts.in the Bag before we face Norwich would be good !!!! So come on you Blues !!!!!! Bish plays on the right while chambers at RB,which means we once again will be playing narrow in midfield putting bodies in the center and congesting the pitch. Not what you want at all for a 'PASSING' team so the new ball playing defender we have wasted our transfer budget on better start practicing his lumps up to Murphy. This is the worst summer at PR and that's including the administration years. It just gets worse! Not surprised that Howe wasn't interested in letting MM have Fraser back as he played him when he wasn't fit and resulted in long lay off. I bet Howe loans him out once season kicks off. This is going to be a tough season. No signings on the horizone and no money available. Can't believe we'll be seeing Skuse/ Douglas combo with Bish fitted in whereas we should have Bish and Bru taking over with Mcg supporting the forwards. Ipswich Town fast becoming the Oliver Twist of football with our begging bowl to premier league clubs.. even Bristol City are splashing the cash with two recent signings of 3M.. I fear a long season. Fine, no more loans - let's find some players and bring them in and own them. There must be nuggets out there for reasonable money, who would improve us and see us as a step up. You can't expect a talented winger to put the dirty stuff on a par with also having to hurt teams...give Ruud Gullit a ring, he'll explain it to you...that why Hazard was so sh!te last season for Chelski too, asked to do more dirty work.. I'm not surprised by this and wish Fraser all the very best in the future. Problem is we really did miss him when injured. He was one of the few quality players in the squad, which is now much weaker without him. I would be very disappointed if we don't sign a couple of out and out wingers. A promotion chasing team should not be making do with central players out of position, that would be a complete lack of ambition and the alarm bells should certainly be ringing if Evans isn't freeing up any funds. Currently we have a seven player shortfall from last season and just one new addition to the squad. Doesn't say 'promotion contenders' to me.